Cremini mushrooms are a younger version of Portobello mushrooms. These mushrooms usually grow on Europe and North America. 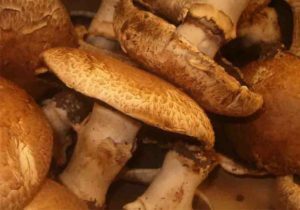 Here are some easy steps to recognize cremini mushroom. Color: These mushrooms are usually dark brown and firmer than common white button mushrooms. Cap: It’s usually smooth and rounded. Gills: Their gills are usually covered by a sheath of skin.